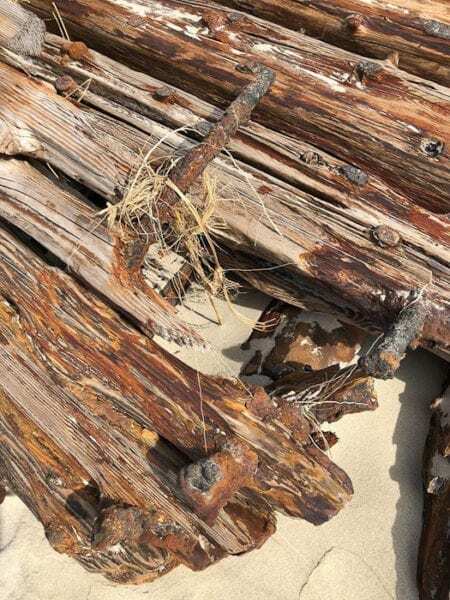 A locally famous but technically unknown shipwreck close to Ramp 55 in Hatteras village has made another appearance after a week of rough seas and high winds. 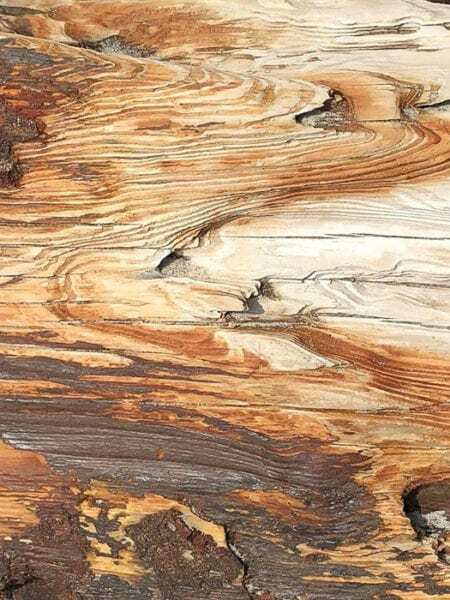 The shipwreck, which is appropriately located just across the street from the Graveyard of the Atlantic Museum, comes and goes as it is unceremoniously covered with sand, and then revealed after long periods of strong northeast winds. 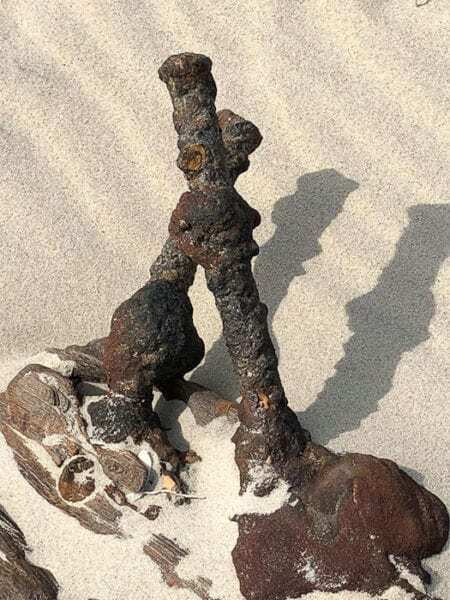 The last time the wreck was this visible was in October 2017, when it made waves on social media for its sudden appearance – or rather, reappearance. The Ramp 55 wreck is currently quite visible for beachgoers, and is well above the surface – a phenomenon which has occurred sporadically for at least the past 10 years. 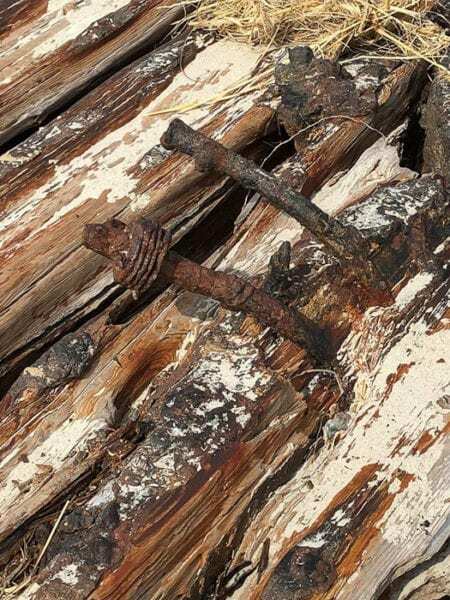 The origins of the Ramp 55 wreck are not concretely known, but the wreck was studied in detail more than a decade ago in an excavation by the National Park Service and a group of then high school students. 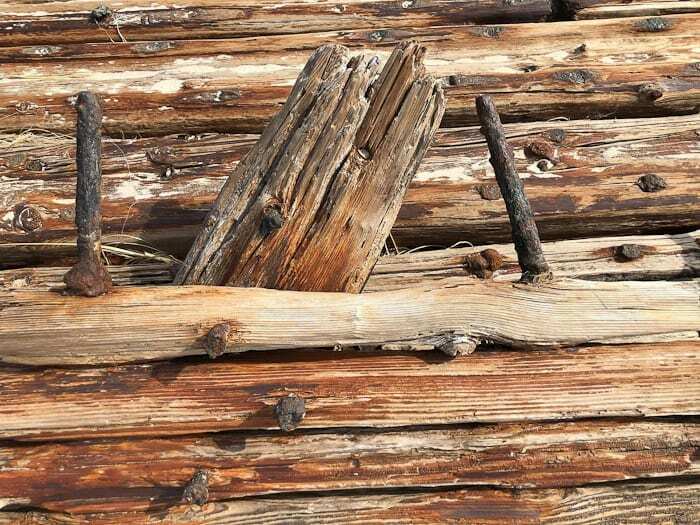 It was hoped at the time that the ship could be moved and transported to a museum, but the remains were too large – and too heavy – to transport. 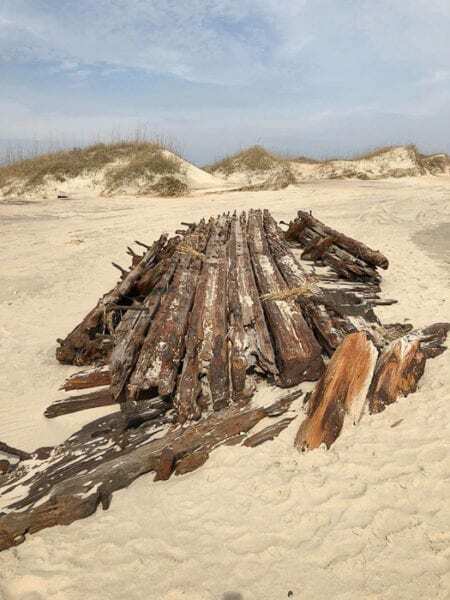 » The Anna R. Heidritter – A four-masted schooner built in 1903 and rebuilt in 1910 after a fire, which was grounded off Ocracoke Island in a 1942 storm and, over the years, had broken up and washed ashore. » Wesley M. Oler – A four-masted schooner built in 1891 that grounded off Hatteras on Dec. 5, 1902. There are no available photos of the ship and no other information about it. 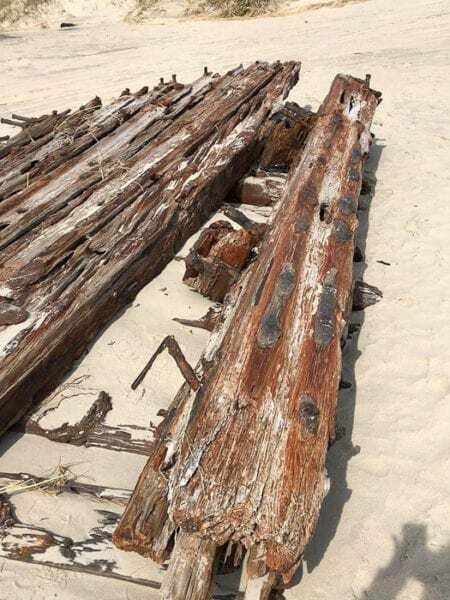 Though it has not been determined if the ship is any of the aforementioned wrecks, it is known that the vessel was a six-mast schooner built out of oak and pine sometime between 1870 and the early 1900s. 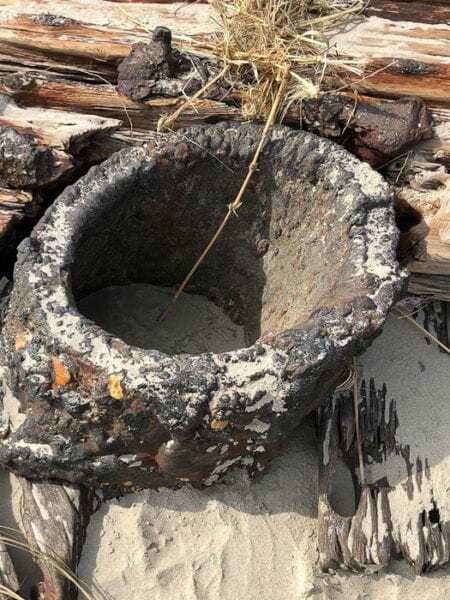 It was a sturdy vessel, measuring approximately 220 feet long and 50 feet wide. 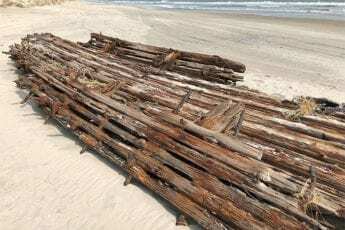 Visitors can take a peek the newly uncovered shipwreck on the beach – at least for a while – by heading a half-mile south of Ramp 55 in Hatteras village. The excursion to see the wreck also presents a fine opportunity to explore the nearby Graveyard of the Atlantic Museum at the same time. The museum is open Monday through Saturday from 10 a.m. until 4 p.m. Admission is free, but donations are appreciated. Does this mean coastlines are receding? Where there are dune-lines or wall type barricades to the ocean, yes these areas are causing the coastline to recede/erode. What do you think the round thing is? I was thinking it was part of a cannon. But that seems really old so I am unsure what it is.